Hong Kong bedrooms are small. I can roughly tell you the size of the last two bedrooms I have stayed in: a 12 ft x 10ft and 9ft x 11ft! That’s really just enough to fit a wardrobe (if you’re lucky) and maybe a mini bedside table. We have talked about how the proportion of furniture is vital to making things feel more spacious, but we can always use more storage, particularly for a bedroom. Well you can definitely save space with a hydraulic bed! Five years ago, when I saw these beds my jaws dropped and I could only dream of all the things I could put under it. Why? Because when I looked at the price tag I really couldn’t justify spending 13,000 to 16,000HKD for such a bed. Thank goodness for time as it’s relatively affordable right now. 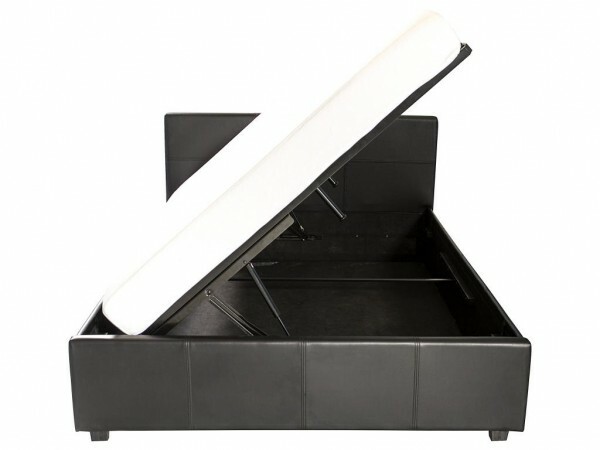 At 3000-4000HKD, you can purchase a pretty sturdy hydraulic bed. We recommend you look at Pricerite , Aeon Style Korhill & Ikea(where we bought ours) because their proportion is more in line with the sizes of Hong Kong bedrooms. If you have a tad bit more space, Ikea has a hydraulic bed of their own. Make sure you choose the right bed though, because the wrong kind of bed will make your bedroom look real small really quickly. One thing to keep in mind is that there has been a bad rap about the safety of hydraulic beds. So make sure there is a safety rod built into the bed, or ask your salesperson about this. So what should we store under the bed? Be realistic and ask yourself how often you really will be lifting your bed? 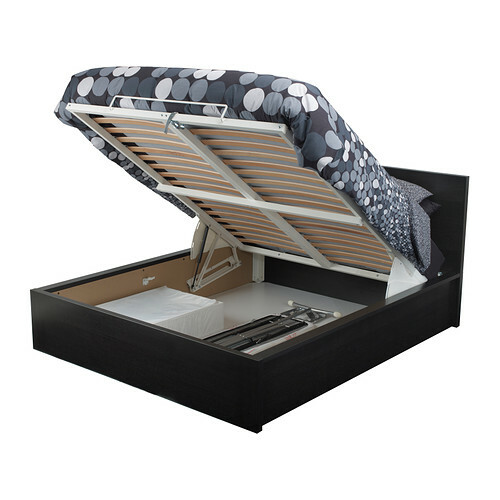 If you don’t mind lifting the bed everyday, then obviously your day to day wear would work well under the bed. If you’re like us, we suggest you only store linen, blankets and winter wear underneath. When it’s time for seasonal changes, take your summer wear and store them under the bed and put your go to sweaters and jumpers into your drawers. Certainly, winter wear has more bulk, so be mindful with what you can put in your drawers. Never ever, put electrical items (i.e. CDs, old video game consoles) under your bed. It just really doesn’t make sense and if you follow Feng Shui, it just won’t provide a cozy and calm atmostphere/energy in your room, even if it’s tucked away and out of sight. So if you can’t justify buying a pricey wall bed, the next best option is to save space with a hydraulic bed.